Be ready to laugh – Today David is excited to be chatting with his good friend Les Brown, whose straight-from-the-heart, high-energy, passionate message motivates and engages everyone who listens, to step into their greatness and live their dreams. 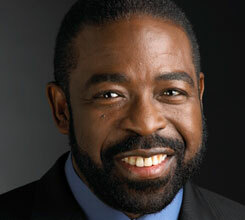 Les Brown is the number one motivational speaker in the world, a renowned speech coach, and best-selling author. Going from poverty to earning $125,000 for one speaking engagement. How he was able to beat the odds and regain his health after being diagnosed with Cancer of the spine. What an amazing show, Les & David together will make you laugh out loud! Les is inspirational and his story is beautiful.